The periodical Ortadoğu Analiz, is published monthly in Turkish by the Center for Middle Eastern Studies (ORSAM) since January 2009. 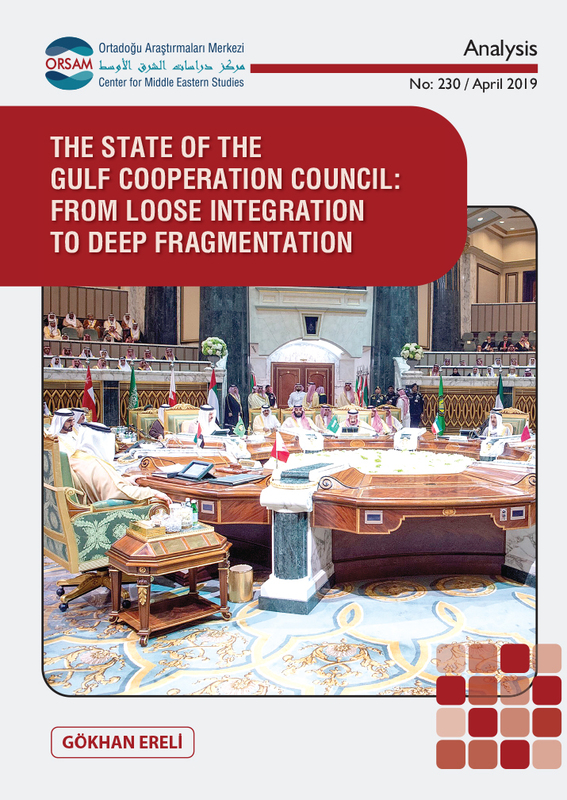 The primary goal of the periodical is to encourage the public and foreign policy circles to engage with the Middle East and to produce analysis and research for the academic circles and foreign policy monitoring, analysis and decision-making mechanisms. Within this context, Ortadoğu Analiz contains research on the region’s political, social, economic and military environment and dynamics as well as regional diplomacy, by experts and professional researchers. Considering the interplay between foreign policy developments and vibrant atmosphere surrounding Turkey, any other development and process which can affect the Middle Eastern sub-system is also within the scope of our journal. Ortadoğu Analiz proudly bears the label of being the first and only bi-monthly periodical with high-quality analysis and research on Turkey’s Middle East policies and agenda. The journal is indexed by EBSCO Host and thus all issues can be accessed via this database.